"Ford has just done a really good job of marketing EcoBoost as a brand across a group of loyal customers who otherwise would not have considered downsizing an engine with a turbocharger." DETROIT — General Motors has quietly and rapidly boosted its use of turbocharged engines as the industry seeks to improve fuel economy without sacrificing performance. GM has more than doubled U.S. sales of vehicles with turbocharged engines from about 288,000 in 2011, or less than 12 per cent of U.S. sales, to 712,000 in 2016, or 23 per cent. That increase reflects significantly expanded penetration of turbos in GM's car models, to 49 per cent of car sales in 2016, up from just five per cent in 2010. General Motors Canada didn’t immediately respond to a request for similar stats north of the border. The company's turbo mix is expected to keep growing with the summer release of the 2018 GMC Terrain and ongoing production of the 2018 Chevrolet Equinox, the most recent vehicles to offer turbos exclusively. "Turbocharging is really an important technology," Dan Nicholson, GM vice president of global propulsion systems, told Automotive News. "It's enabling smaller, really smaller engines, without sacrificing peak power or peak torque." Turbochargers use exhaust gases to power a turbine like fan, which drives a pump that blasts a denser mixture of air into the engine. This increases the engine's horsepower output. All diesel engines feature turbochargers. The technology can make a four-cylinder engine produce comparable performance figures to a larger six-cylinder engine, if not better. Skeptics have criticized turbochargers' additional cost and delayed acceleration, known as "turbo lag" — both issues automakers have worked to mitigate. Roughly half of GM's 2018 vehicle lineup is expected to offer at least one turbo option, including a 2.0-litre, four-cylinder engine available in the Chevrolet Traverse and standard on the Buick Regal and Regal TourX. GM has white space to keep expanding its turbo lineup. 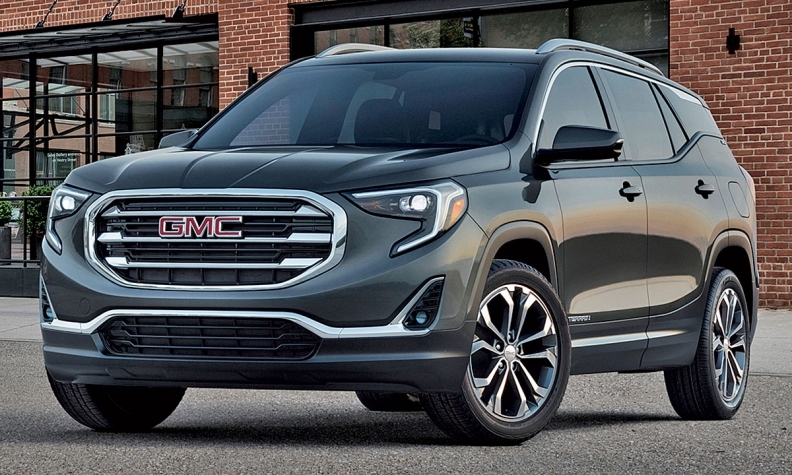 It doesn't yet offer any turbo engines for its largest gasoline-powered GMC and Chevrolet SUVs or full-size pickups -- markets some competitors have capitalized on. 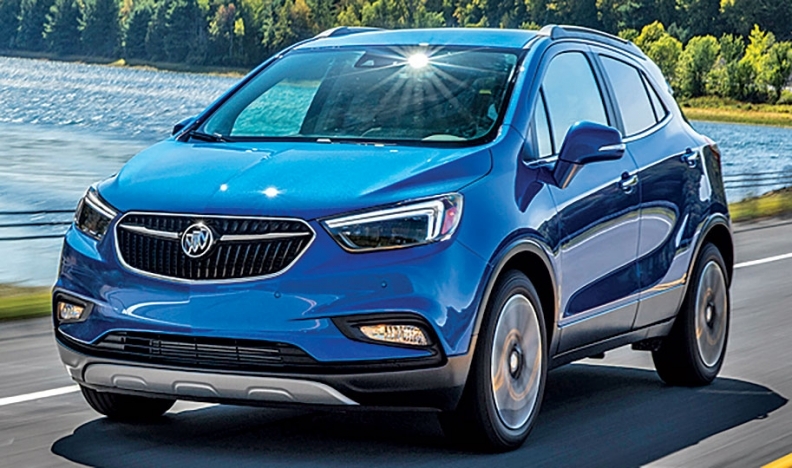 Nicholson declined to comment on plans to add turbo engines to those vehicle segments, saying GM will "continue to look at customer acceptance" and apply turbos "segment by segment" rather than across the board. Ford has had surprising success offering its downsized EcoBoost lineup of turbocharged engines in most of its SUVs and pickups, including its best-selling F-series pickups. In June 2016, Ford said it had sold 1 million EcoBoost F-150s in the U.S. since 2011. Ford declined to provide overall EcoBoost sales for 2016. "Ford has just done a really good job of marketing EcoBoost as a brand across a group of loyal customers who otherwise would not have considered downsizing an engine with a turbocharger," said Paul Lacy, IHS Markit senior manager of Americas powertrain and compliance forecasting. Honda and Toyota were slow to embrace turbos, in part because they already were industry leaders in fuel economy. But as that lead gets harder to maintain, Honda has been rolling out turbos in its core products, starting with the Civic, CR-V and next-generation Accord. IHS forecasts that turbocharged engines will represent 55 percent of production for North America by 2024, up from an expected 33 percent this year. An asterisk on that forecast, according to Lacy, is the midterm review of the federal corporate average fuel economy regulations that are targeted at achieving a 54.5 mpg fleetwide average by the 2025 model year. He said that depending on what occurs with the review — which was reopened by the Trump administration — automakers could re-evaluate their fuel economy strategies. Nicholson said whatever happens with the review, GM won't waver from its efforts to increase fuel economy. "We're never going backwards," he said. "It's only a matter of how fast we can move forward in improving fuel economy."